An update for Google Maps should be waiting for you in the Android Market that introduces a couple of new features for Latitude. 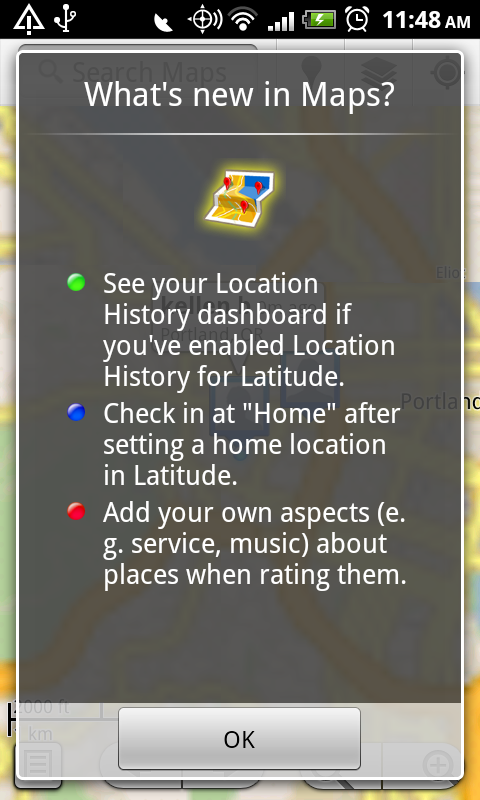 You can now check out your location history, add your own rating aspects (service, music, etc.) and set up a “Home” location to check in to whenever you arrive back at the ol’ pad. And yeah, that’s pretty much it.